This post was first published by Croydon Advertiser on 21/11/2018. The project is estimated to cost between £75 million and £100 million. Crystal Palace chairman Steve Parish says work on the huge Selhurst Park multi-million pound redevelopment will start “as soon as possible”. Croydon Council’s planning committee unanimously granted official permission for the rebuild in April, which will see the ageing Main Stand replaced with a modern five-storey stand, increasing the capacity of the ground from 26,000 to more than 34,000. As well as this, the revamped stadium will also provide better facilities for disabled supporters and bring needed improvements to the ground. Before work can start, the club and council bosses have been locked in negotiations over the terms of the Club’s Section 106 obligations. These obligations were set out by the planning committee and in the club’s proposal, meaning as part of the redevelopment the club has to fund transport and community improvement initiatives. Those negotiations have not yet concluded, and as such, there is no start date as yet for the project. But Parish has hinted that work may start sooner rather than later, reports football.london. Speaking on Tuesday night (November 20) at the Croydon’s Next Generation panel discussion, held at Croydon Park Hotel, the Eagles chairman outlined what the redevelopment would provide for the local community, including giving the Palace for Life Foundation a new headquarters. “We are tremendously excited about our part in the massive redevelopment going on in Croydon,” he said. “We want to bring Selhurst Park alive during the day, it’s not being used as much as we would like. Work is likely to be completed in 2021, meaning the new stand will be ready to open for the 2021-22 season. Fans who have seats in the existing Main Stand will be able to continue sitting there throughout the build process, as the Eagles want to minimise the impact on the stadium capacity in the coming seasons. 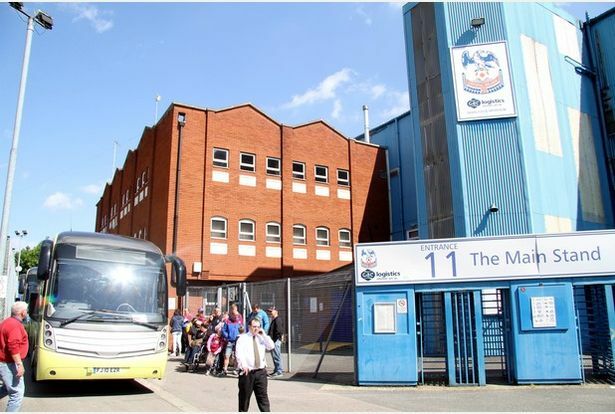 As part of the development, six homes in Wooderson Close near the Main Stand will have to be demolished to make room for the ambitious project, though the club has outlined how nine flats to replace the council homes will be built near the Holmesdale Road and Park Road corner of the ground. At the conference on Tuesday, Parish also said that plans to fund the redevelopment were now in place, but that negotiations were continuing with the council relating to the purchase of land and houses that is a condition of planning permission. Parish was also asked whether the development would go ahead regardless of how the club are faring on the pitch. “It’s a long-term plan for the future of the football club,” he said.